Includes items 17, 18, and 19. 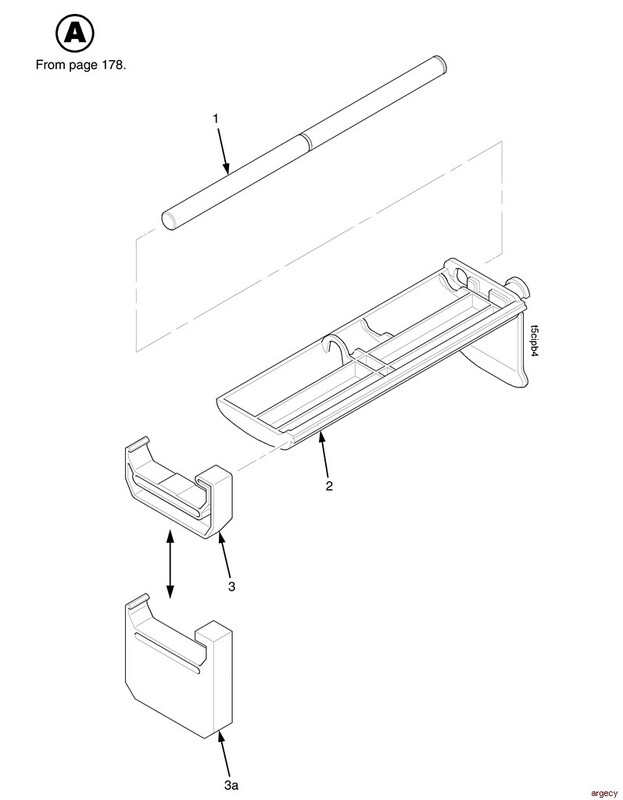 9 203527-001 Clip, EMI (6) In Hardware Kit 171629-001 but can also be ordered separately. 10 172606-001 Label, Media Loading Not part of item 2. 11 Ref Label, Customer Support Center Not part of item 2. 12 Ref Label, Media/Ribbon Source Not part of item 2. 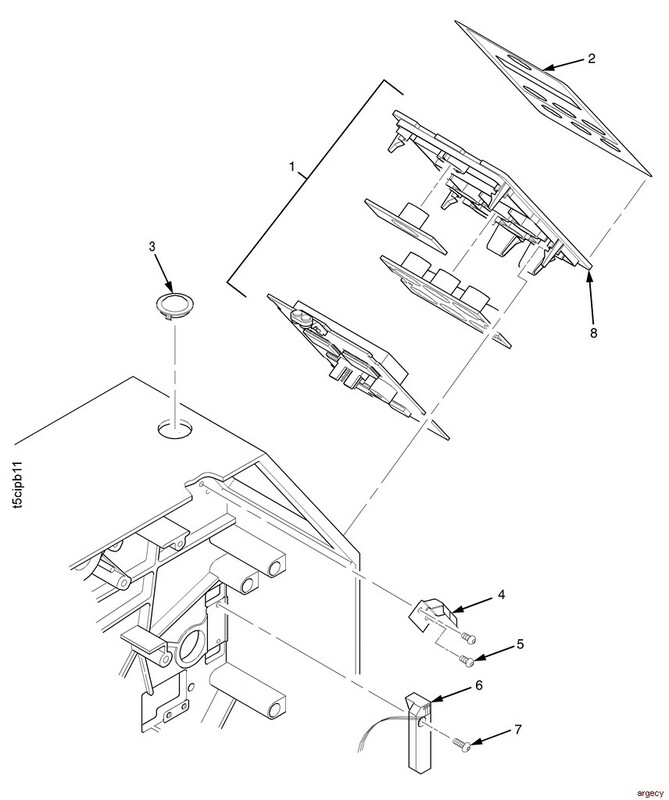 13 750923-001 Button, Damping (7) In Hardware Kit 171629-001 (page 210), but can also be ordered separately. 18 Ref Cap, Plastic, Media Hanger Part of item 7. 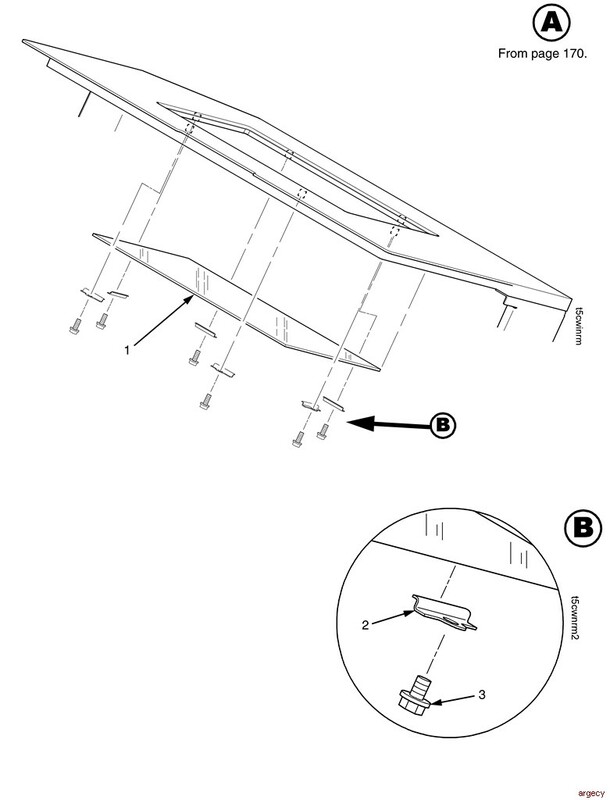 19 Ref Beam, Media Hanger (4, 6, and 8 inch) Part of item 7. 1 178453-001 Window, Media Cover, Shielded For RFID models. 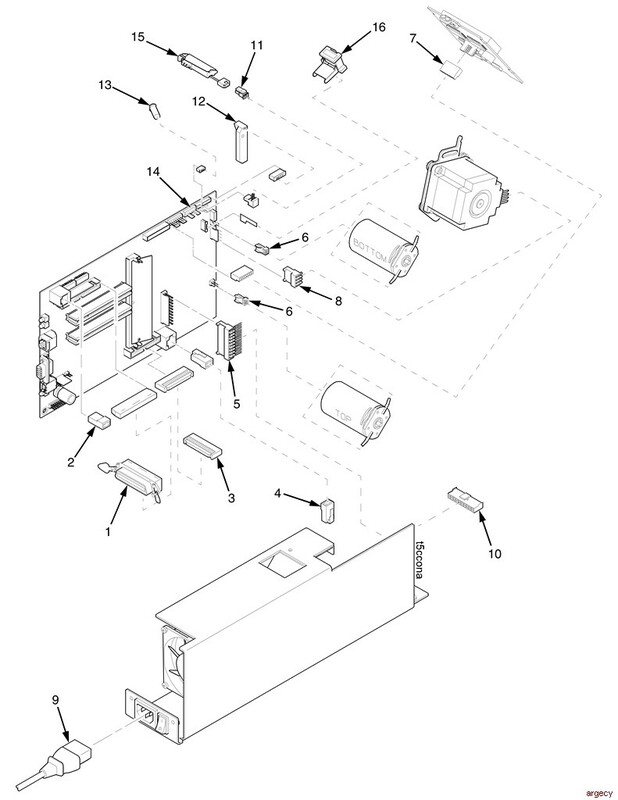 1 178207-001 250131-001 Power Supply Assembly, 4, 6, and 8 inch Includes items 3 and 4. Does not include items 17 or 19. 3 Ref Cable Assembly, Power Supply, Controller PCBA Part of items 1 and 14. 4 Ref Cable Assembly, Power Supply, Printhead Part of items 1 and 14. 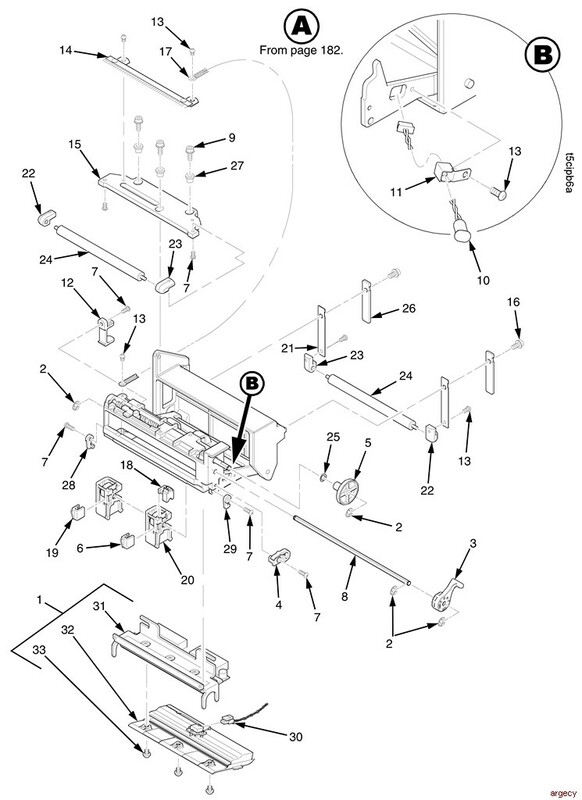 5 204527-001 Washer, Nylon, 1.125x.500x.080 inch Available only in Hardware Kit 171629-001 Optional. 10 203260-001 Spring, Stepper Motor Not part of item 12. Does not include items 10 or 11. 14 250260-001 Power Supply Assembly, Low Power Output, 4 inch only Includes items 3 and 4. Does not include items 17 or 19. Not part of item 1 or 14. Controller 6 and 8 inch printers only. 20 Ref Cable Assembly, Stepper Motor to Controller PCBA. Part of item 12. Includes items 3, 7, 12 and 13. Includes items 7, 10, 11, and 14. Rewinder option. Additional core required when using thermal ribbon. Use with the rewinder option only. 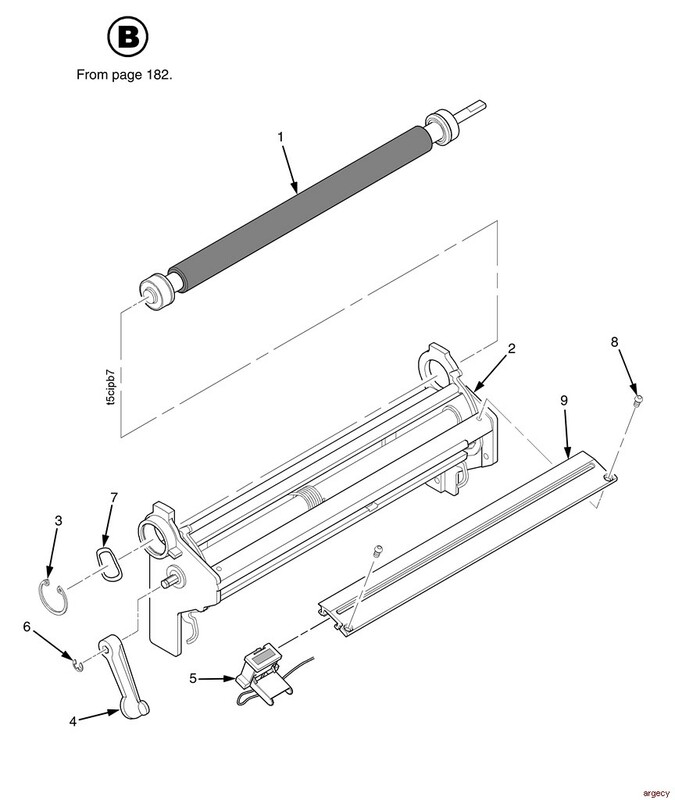 13 170528-001 Blade, Ribbon Spindle Part of item 1, but can also be ordered separately. Used with optional rewinder or validator only. Leasing Available from $29.08 per month! 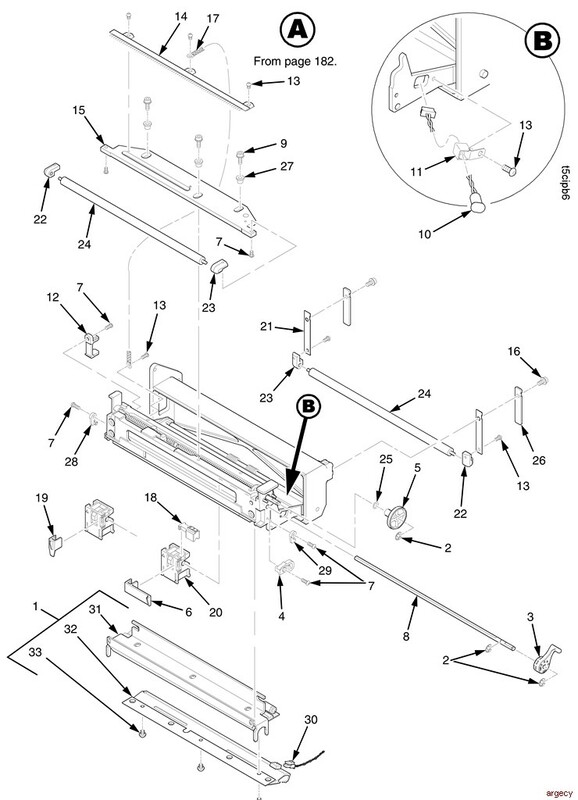 Does not include printhead assembly. Includes item 7. Used only on models with internal rewinder option. Designed to support peeling short label lengths. Does not support any paper path assy. 9 Ref Cable Assembly, Power Supply, Printhead Part of power supply. 10 Ref Pivoting Deck Part of item 2. 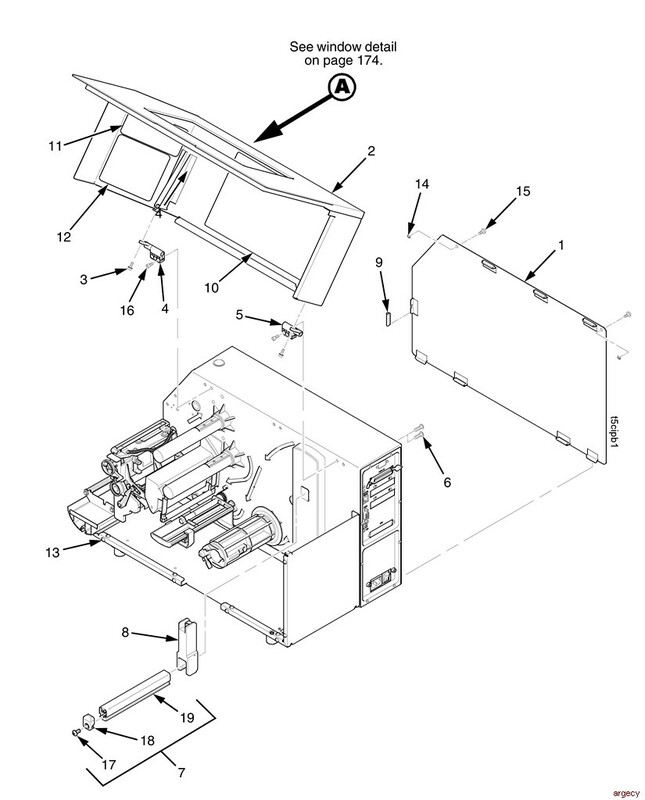 Supports Continuous and Tear-Off Strip media handling modes only. Does not support any paper path assy. Includes thumbscrews. Does not support any paper path assy. Includes thumbscrews. 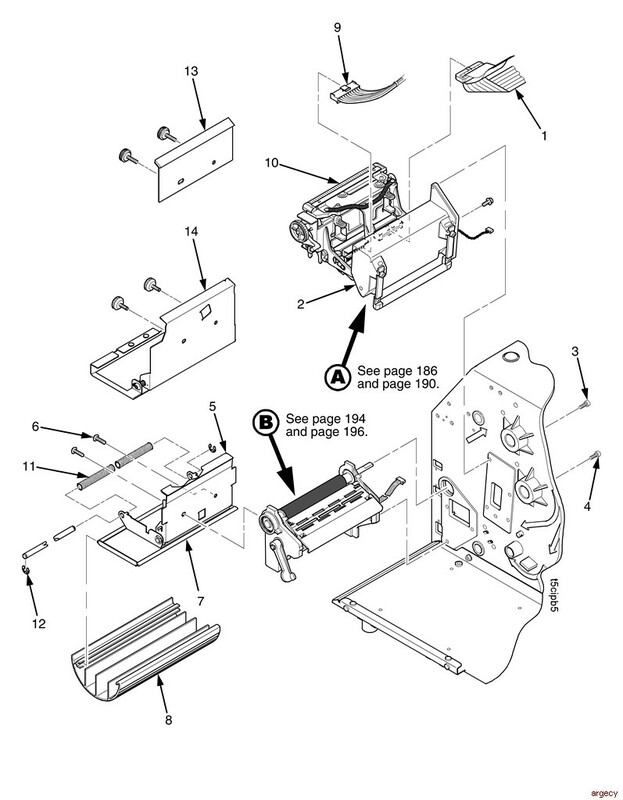 173612-001 251236-001 Field Kit, Printhead Assy, 300 dpi, 6 in Includes items 31, 32, and 33. Does not include item 30. 12 171277-001 Clip, Head Retainer (2) Right clip not shown. Part of item 1, but can be ordered separately. Includes items 31, 32, and 33. Does not include item 30. 30 175116-001 Cable, Upper Media Sensor Not part of item 1. 31 Ref Ref Bracket, Head Mount Part of item 1. 32 178695-901 250307-901 Printhead Cover/Upper Media Sensor Assembly Part of item 1, but can be ordered separately. Includes item 9. 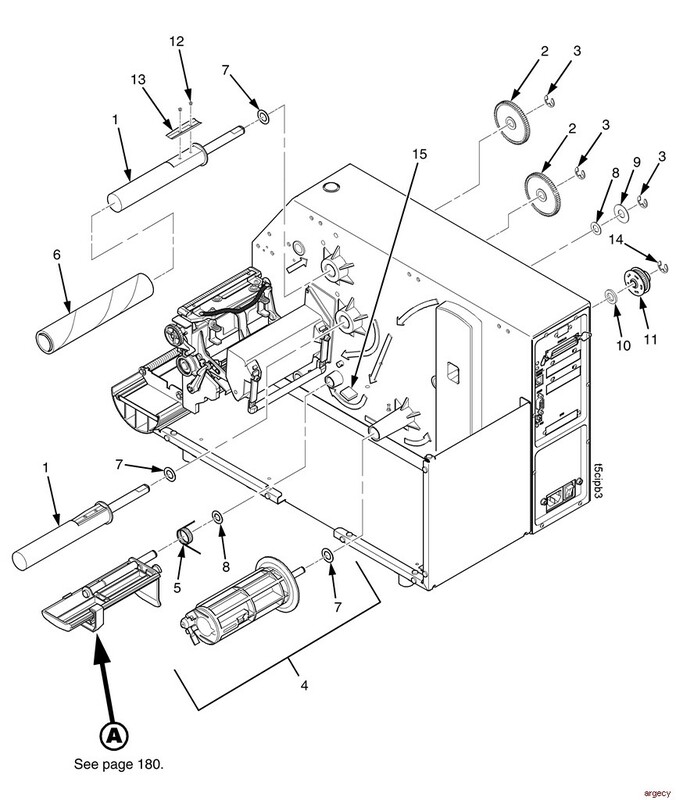 Does not include platen assy, peel/tear assy, or lower media sensor assy. 6 203548-001 Clamp, Ferrite, Enclosed Radio frequency interference suppressor. 8 203464-001 Thermal Gap Filler Pad Must be installed under the controller PCBA, item 2. 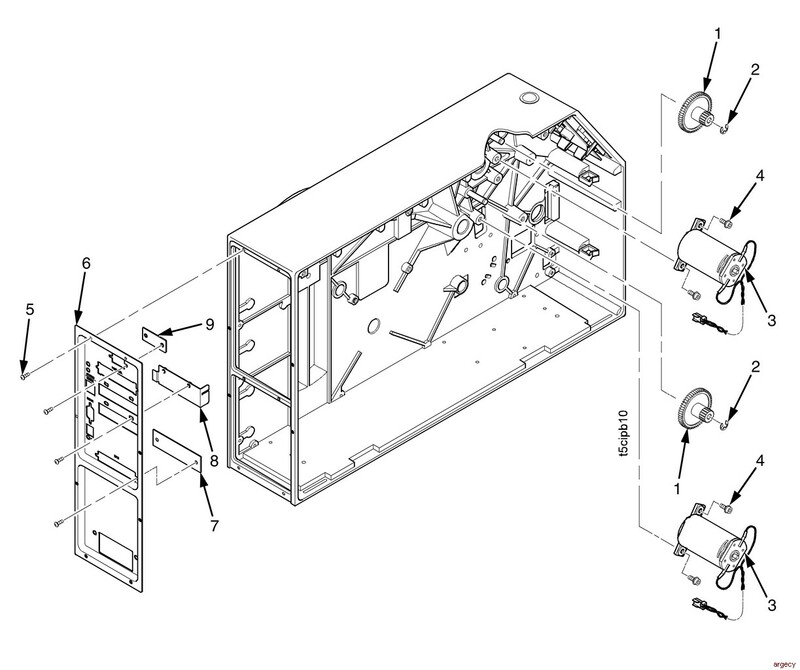 9 179406-901 250504-901 Field Kit, Internal 10/100Base-T Internal NIC assembly. 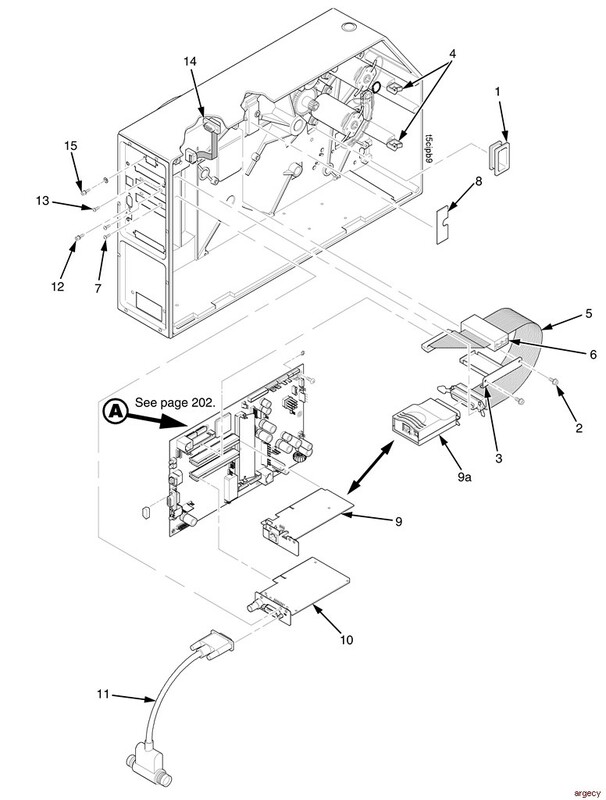 9a 171747-001 251006-001 Field Kit, External 10/100Base-T External NIC assembly. 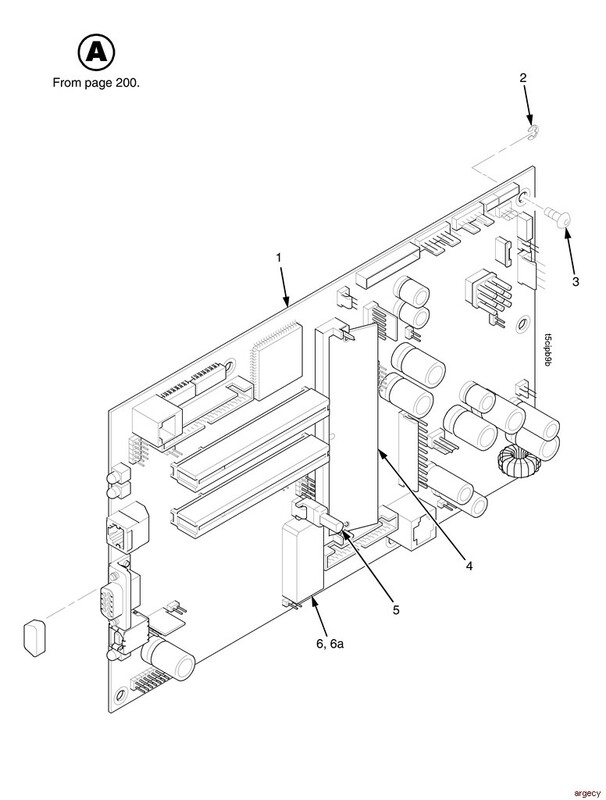 10 177929-901 179913-901 Coax/Twinax Interface Includes coax/twinax PCBA. 1 178272-901 250300-901 Controller PCBA, PPC Includes items 2, 3, 5, and 6. Both SIMMs contain boot code only. 6 204550-001 210264-001 NVRAM Part of item 1, but can be ordered separately. 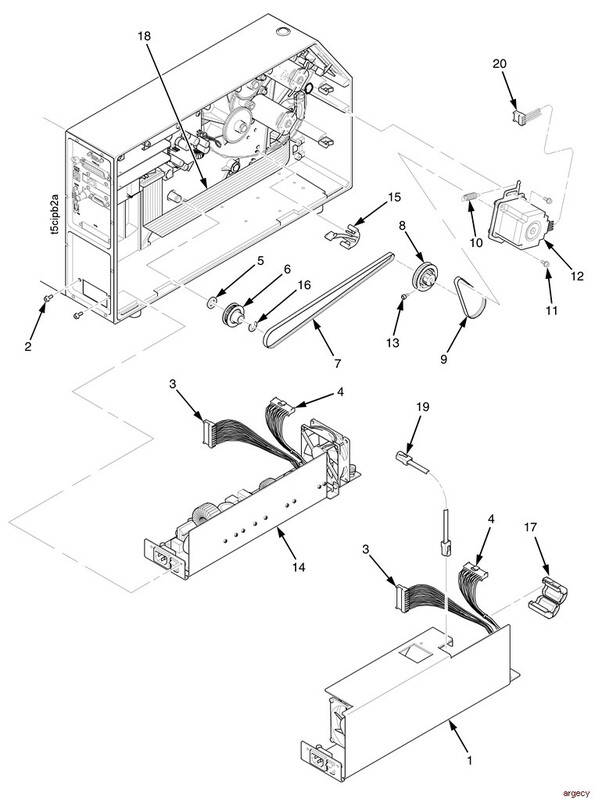 3 171403-001� Field Kit, DC Ribbon Drive Motor Does not include item 4. 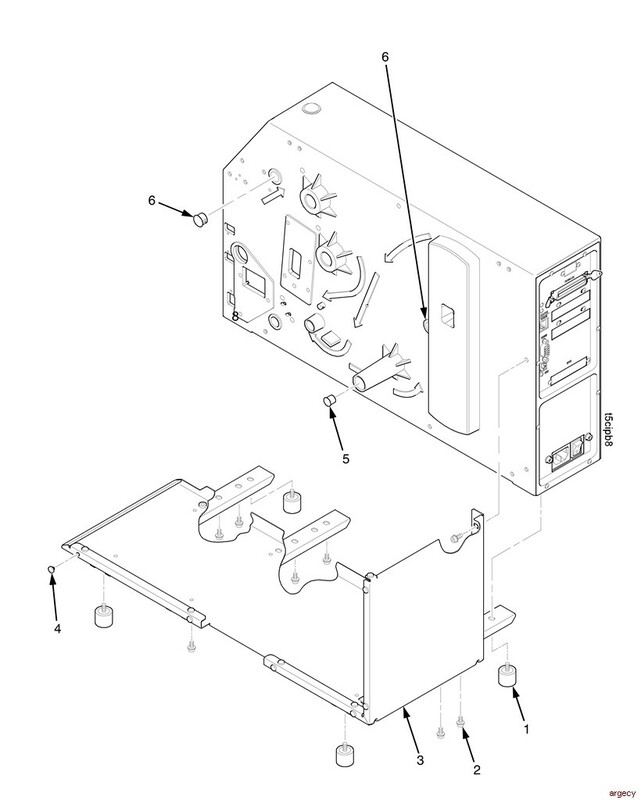 1 170644-001 250506-001 Control Panel Assembly Does not include overlay. Includes item 8. 5 Ref Cable Assembly, Power Supply to Controller PCBA Part of power supply. Connects to J17 on the controller PCBA. 10 Ref Power Supply to Printhead cable Part of power supply. 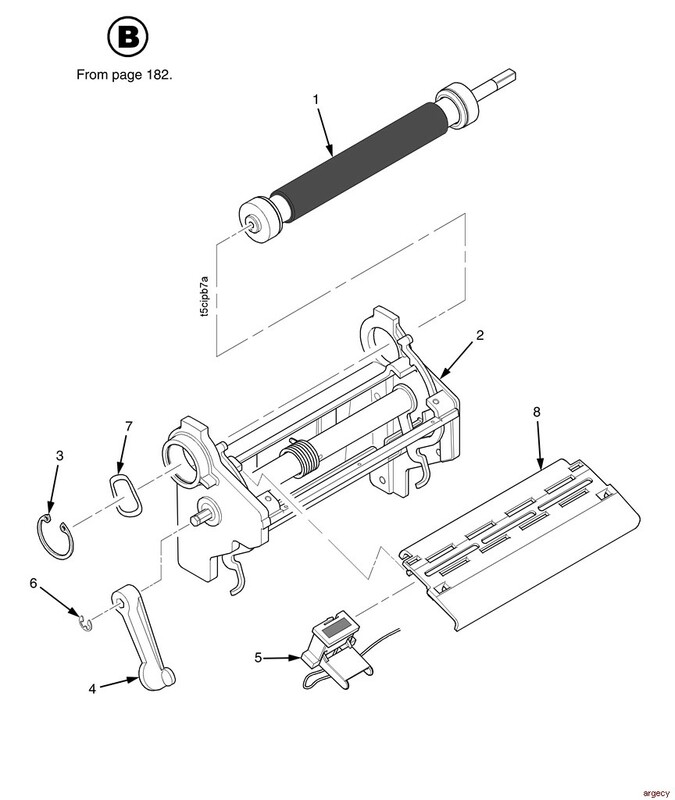 178695-901 250307-901 Printhead Cover/Upper Media Sensor Assembly, 4 inch Part of the printhead assembly.